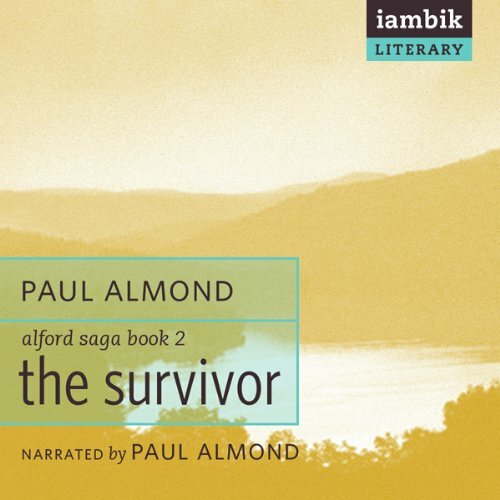 A captivating and fast-paced adventure, The Survivor is Book Two of the Alford Saga, a series chronicling 200 years of Canadian history, as seen through the eyes of one settler’s family. Thomas Manning, branded a deserter from the British Navy, is forced to change his name to James Alford to avoid the death penalty. Determined to forge a new life on the Gaspé Peninsula, he struggles to survive the harsh landscape and win the hand of Catherine Garrett. After working in harsh sub-zero woods, he saves the life of an orphan working in a sawmill, and so gains crucial lumber to build a homestead out of intractable wilderness. But first he must battle murderous brigands to rescue a starving bull calf he hopes will be the first of the oxen he so desperately needs to clear his land. Finally, heroically surviving Canada’s worst-ever famine, he faces down implacable bureaucracies to keep the farm he has been fighting to bring under cultivation. ©2011 McArthur & Company (P)2012 Iambik Audio Inc.